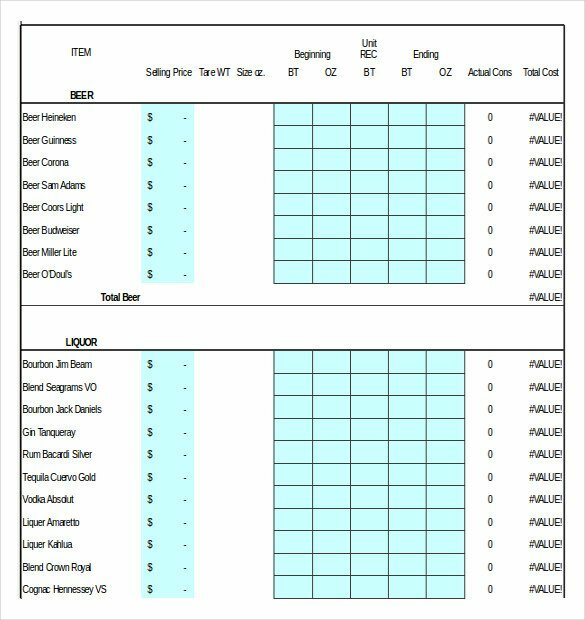 Liquor Inventory Template – If you own a liquor store or need to manage a liquor store, managing the liquor inventory must be an important task for you. 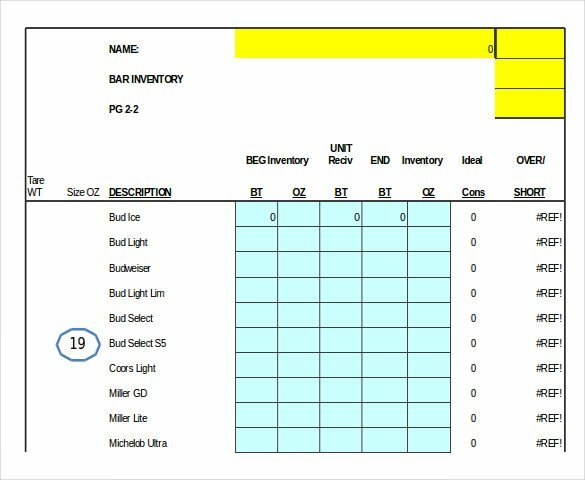 Use Alcohol Inventory Templates to Lighten Your Load These high-quality, free-to-download liquor inventory templates make it easy to create designs and layouts that simplify inventory management and capture all the details. Create templates in which you simply enter the details and your inventory list is ready. 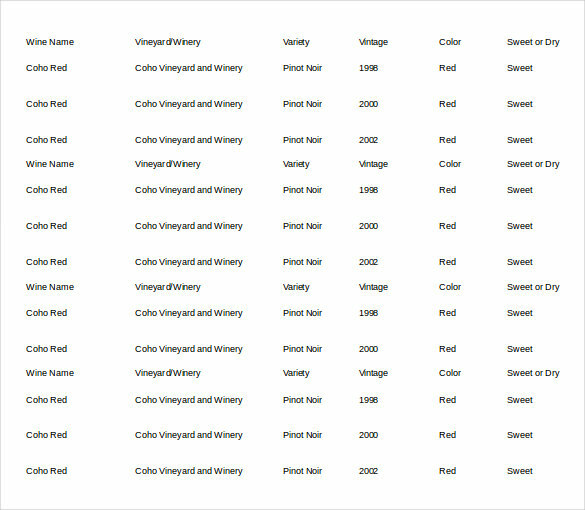 You can also check the inventory template for any model of the bar. To simplify things in the future, you can easily keep track of the inventory list over a period of time and list all the details in well-organized lists of alcoholic beverages and keep it up to date. Location You can also edit the basic templates and bring in your own ideas to make the list more readable. 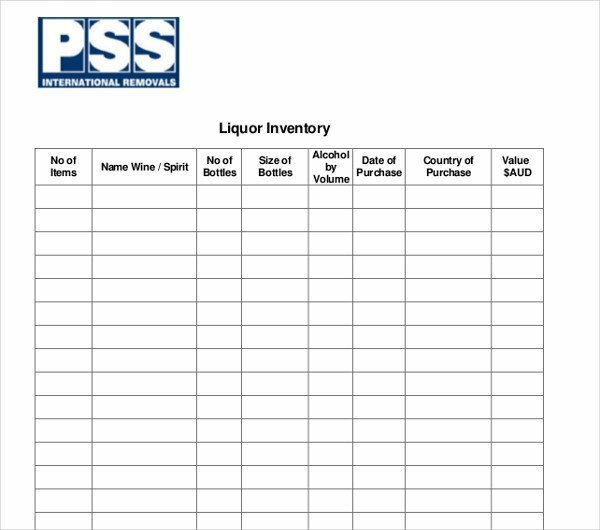 Any number of spreadsheet programs will work to help you keep track of your liquor supplies for a mom and pop liquor store. 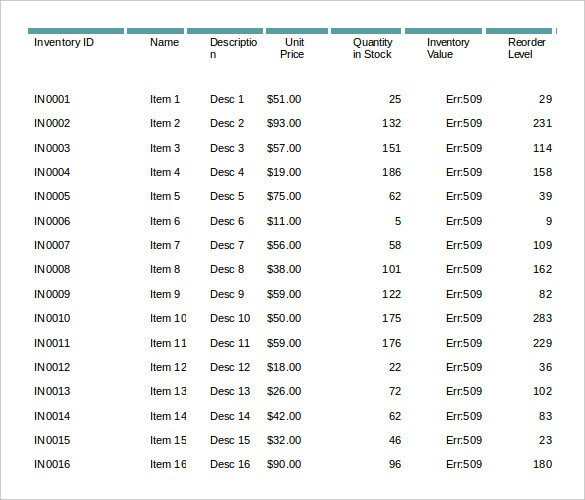 A spreadsheet allows you to not only track inventory, but to keep a list of wholesale and retail prices to reveal your profit margin or markup on the product as well as the total inventory value. Any spreadsheet program will work, though commands may differ slightly between programs. Click on the spreadsheet program to open the program. Select “File,” and click “New” to open a new spreadsheet. Name the file first and save the spreadsheet before doing anything. Select a name that makes sense and store the file in a directory where you will be able to access it later. 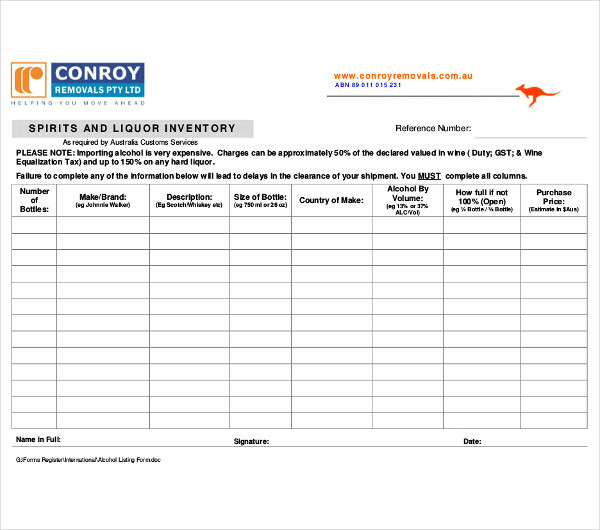 Create a directory called “Liquor Inventory” or some other such name. 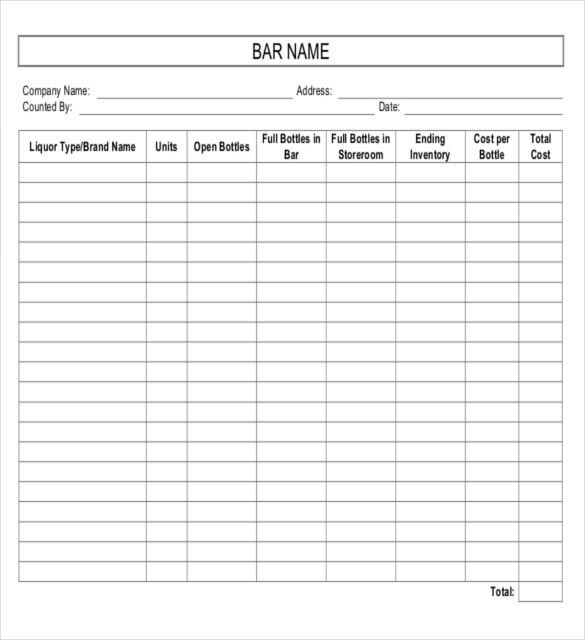 Insert a name onto each tab at the bottom to separate the liquor supplies. 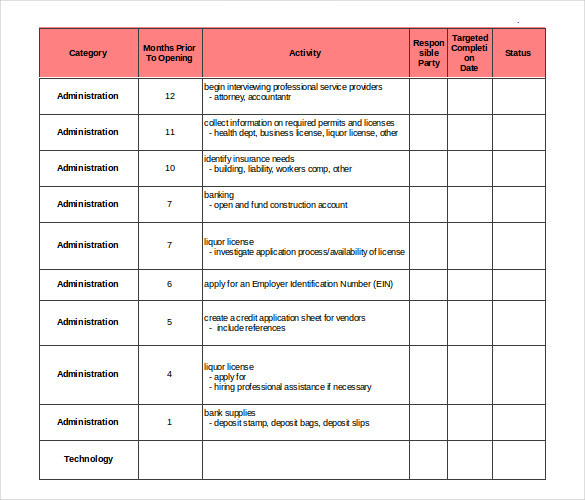 Complete this by clicking on the tab until the name “Sheet 1” is highlighted. Type in the name “Beer,” and repeat for each worksheet, using the correct name for each worksheet. Name one tab “Beer,” the other “Wine,” one “Liquor” and one “Liqueurs.” Add a tab for “Soda” or other liquid supplies you keep on hand. Put your cursor into cell “A4” on the “Beer” worksheet. This is column “A” and row “4” on the spreadsheet. Type in the word “Name;” this row will serve as the title row for the spreadsheet. Move to cell “B4” and type “Container.” This defines the container type, such as six-pack, bottle, 12-pack, 18-pack or 30-pack.